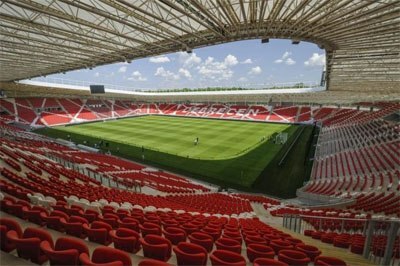 It took Debrecen 40 years to reach the top division, 90 years to really establish themselves as a first category club, and almost a century to win their first title, but, given how they have performed after 2000, they can be proud to call themselves the most successful Hungarian club in the 21st century, and by far the biggest team in the country that do not come from Budapest. Debreceni Vasutas (railwayman) Sport Club were founded in 1902, and as the name suggests, there was a very close link between the club and the country's railways, visible until our days, through the figure in the centre of the club's logo. 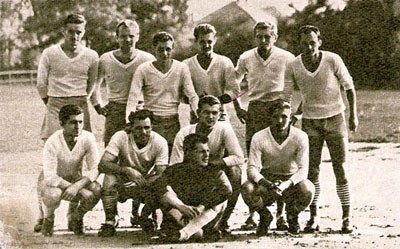 The team didn't make it to the first division of Hungary until 1943, and even then, they failed to establish themselves in the top category, getting relegated a total of seven times (more recently in 1991), and some times spending several seasons in the second division before earning promotion. While most top clubs in Hungary were hit hard by the fall of communism and the termination of state sponsorship, Debrecen somehow managed to benefit from the new status. In 1999 they finally won their first title, the Hungarian Cup, even though before that they had never made it further than the quarterfinals. Two years later they repeated their success in the Cup, but despite their second trophy in three years they were still seen as a “lesser” club, since they kept failing to really make an impact in the Championship. It all started changing in 2003, when they lost the Cup final, but finished third in the Championship. What came next was another third finish, a real sign that Debrecen's recent positive results were no accident. They who remained unimpressed were left in disbelief at the end of the 2004-05 season, when, after 103 years of life, Debreceni VSC gave their fans something huge to celebrate for, a historic first, the Championship title. Having reached the top, the next goal was to stay there, and Debrecen really outdid themselves, creating the first dynasty of the 21st century in Hungarian football, winning a total of seven Championship (and four Cup) titles in ten years! A success of almost epic proportions, considering that the team are not based in Budapest, and up until not that long ago they were struggling not to win titles, but to avoid relegation. The... cherry on top during “their decade” was the participation in the Champions League group stage in 2009-10. They lost all six games to Liverpool, Lyon and Fiorentina, but their fans were given a special treat, seeing live three top European clubs, in a rare presence of a Hungarian team in the CL group stage (only Ferencvárosi in 1995-96 had managed to represent the country in the glamorous party of the biggest club competition in Europe). Tibor Dombi, Debrecen's iconic number 7, holds the record of games played, 565, a number though that includes friendly games as well. The born in 1973 right midfielder joined the club as a 14-year-old, went on to become professional aged 20, spent six years at Debrecen, three in Eintracht Frankfurt and Utrecht, and then returned to Hungary and his beloved Debrecen, where he stayed until the end of his career, winning numerous titles. Tamás Sándor is a year younger than Dombi, played alongside him until 1997, spent five seasons in Italy, Turkey and – mostly – Israel, and in 2002 he returned to his boyhood and hometown club, scored more goals, and now holds the title of Debrecen's all-time leading scorer. In 2014 the team moved into their brand new home, modern and football-specific Nagyerdei Stadion, a true jewel, where they are still to celebrate winning a title though. Debrecen's beautiful Nagyerdei Stadium, home of the team since 2014. The “V” in “DVSC”, the initials of Debrecen's name, stands for “Vasutas”, Hungarian for “railwayman”, which explains the figure in the centre of the club's logo, very common in crests of eastern European clubs called Lokomotive (or slight variations of the word), and linked with each country's railways.